There are a lot of small facets that go into successfully planning your dream wedding. 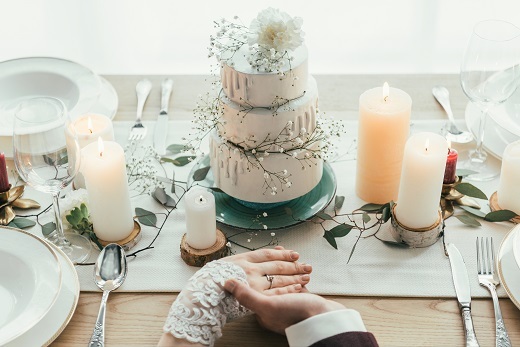 While finding a venue, picking your wedding dress and choosing the perfect cake will likely be at the forefront of your mind, there are other important factors that you may not think of that can take your wedding to the next level. If you are currently planning your wedding, here are some commonly missed wedding details you may not be thinking of. Having your wedding in a dark location will generally mean that your ceremony pictures won’t turn out quite like you had expected them to. In fact, not having the correct lighting is often one of the most common missed wedding details that couples will later regret. To avoid this, meet with your photographer at the chosen venue prior to the wedding day to determine if extra lighting will be necessary. It’s likely that at least some of your wedding guests will have to bring their children with them. While you may be a fan of children, the last thing you want is for one of them to ruin your wedding ceremony or cause a disruption. To avoid this, have a plan or activities in place to keep children occupied during the wedding ceremony to keep the peace and your sanity. Wedding cakes are typically seen as a work of art and you should be happy to display yours on its own table. In many cases, your cake will be the focal point of your wedding reception and many of your guests will likely want to take a picture with it. Make sure you take the little details around your cake table into consideration to make it as appealing as possible.